Congratulations to these officers, we are excited to have them as part of our team! Department members celebrated the occasion with family and friends following the ceremony. 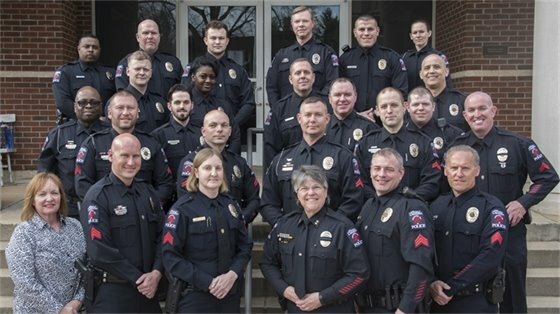 The department also took the opportunity to take a department photograph to include all sworn staff (including reserve officers) and full time staff with the exception of Lorena Arce, Records/Accreditation Manager, who was not able to attend. Please come share your voice to shape Davidson’s future as we develop a comprehensive plan for our town. Join us for the Shaping What’s Next multi-day workshop on April 1st, 2nd & 3rd. It kicks off on Monday, April 1st at the DCPC Congregation House from 6:00 to 8:00 p.m. with events throughout the day and in the evening on the second and third days. Residents are welcome to share photos of their favorite places or open spaces by emailing whatsnext@townofdavidson.org prior to 12:00 pm on April 1st. ALL of the details on the upcoming workshop are available at whatsnextdavidson.com. We hope you’ll attend! We’re currently hiring for a Planning Technician and Part-time Firefighter. Please visit www.townofdavidson.org/jobs for more information. The Public is invited to attend the North South Parkway Community Engagement Session on Thursday, April 11 from 6:00 to 8:00 p.m. at River Run Country Club, 19125 River Falls Drive, Davidson, to learn more about the study and talk with staff. There will not be a formal presentation during this drop-in event. Additional information is available online at northsouthparkway.org. Mark your calendars for Monday, April 29th at 9:00 AM for the Quarterly Q&A Session with the Mayor and Board of Commissioners here in the Board Room of Town Hall. Stay tuned for additional details! 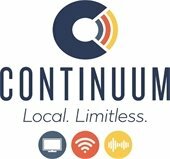 An announcement was made last week by the towns of Mooresville and Davidson that the process has begun to sell Continuum (formerly known as MI-Connection) which is the broadband/cable company owned by the two towns. One of the Davidson Board of Commissioners' goals from the 2018-2019 Strategic Plan has a focus on sound financial management and examining future options for Continuum. A recent review of Continuum has motivated the elected officials of Mooresville and Davidson to put the successful company on the market. The towns are initiating the sale process based on the ongoing success of Continuum and our desire to have the financial flexibility to invest in needed new infrastructure and other projects. The towns of Mooresville and Davidson have retained RBC Capital Markets as its exclusive financial advisor for the sale. RBC has a robust process for outreach and marketing to potential buyers and negotiation of an agreement. The anticipated date of the completed transfer of ownership is the end of November 2019. 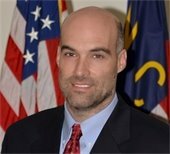 Per state statute, any potential sale will need to be approved by the voters in both Mooresville and Davidson through referenda in November, 2019. In the meantime, during this process, Continuum customers will continue to receive their voice, Internet and video services as they are accustomed. A news release, list of frequently asked questions, and the approved documents have been added to a section on the town website where public information related to this process will be housed. Go to: townofdavidson.org/continuum. More information will be provided as we go forward in the process. Four people spoke during the public comment period. A public hearing was held on the proposed voluntary annexation of 19905 Davidson-Concord Road. This public hearing is required by general statute when the governing board is considering an annexation into the town limits. The public hearing was advertised in the Charlotte Observer on March 16, 2019. No one signed up to speak during the public hearing. Public Art Commission Nominations of Tonia Wood for a term of March 2019 - December 2020 and Tim Mascara to for a term of March 2019 - December 2021. Items for old business typically have been previously presented and are for discussion and possible action. Parks and Recreation Director Kathryn Spatz reviewed the key recommendations from the Park at Beaty Task Force, which was originally presented to the board at the March 12 meeting. The recommendations include: adopt the concept plan, permanently conserve the park land, evaluate dam options, prioritizing the park as a high priority, prioritize the Beaty Street section of the Charlotte to Mooresville Trail, request design funding from Mecklenburg County, and charge task force leadership with guiding the conservation, design, and implementation of the park. Members of the Park at Beaty Task Force were also recognized for their service to the town for this project and the task force was disbanded. 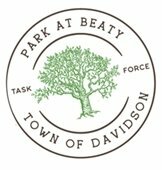 The Board approved Resolution 2019-14 to Adopt the Final Recommendations of the Park at Beaty Task Force and Resolution 2019-15 Thanking and Disbanding the Task Force. South Street Steering Committee Co-Chair Elizabeth Martin presented an update on Phase I including the process, findings and recommendations of space for community use and government offices at 251 South Street. The presentation is available online at www.townofdavidson.org/1081/Public-Facilities. The next step in the process is to prepare a preliminary pricing for the building and the existing town hall renovation which will be presented to the board at a future meeting. To facilitate this, the board approved a $50,000 appropriation from the Capital Project Fund for the architect, historic preservation consultant, and construction manager to prepare conceptual drawings and cost estimates. Resolution 2019-11 for NC DOT Project U-5907 (Potts/Sloan/Beaty)At the March 12, 2019 board meeting, the mayor and commissioners reviewed the draft Resolution 2019-11 for the board to provide comments on project U–5907, the Potts-Sloan-Beaty corridor. The board requested additional edits and approved the resolution. Additional information on this project is available online at www.townofdavidson.org/1100/Potts-Sloan-Beaty-Connector.